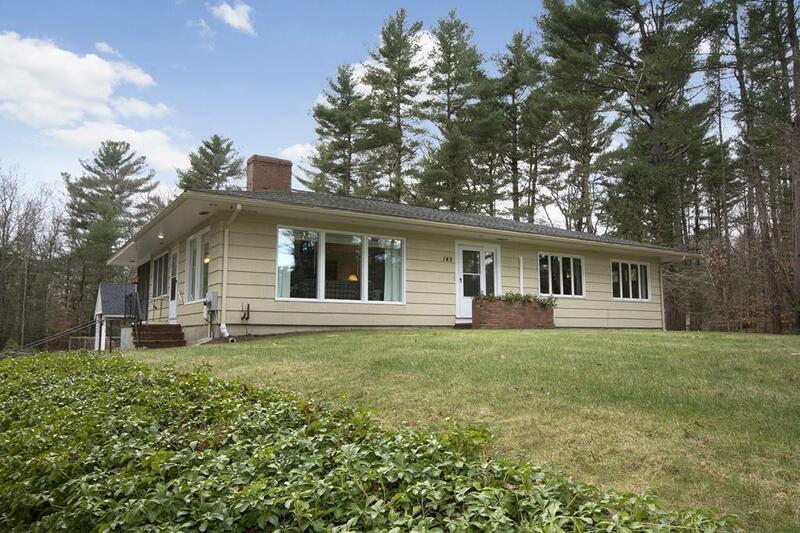 Bright and sunny ranch nestled on 2 acre lot with large private yard. Immaculate interior with oversized windows and delightful screened porch overlooking the lovely grounds. Skylit eat-in kitchen, fireplaced living room with hardwood floors, 3 bedrooms, full bath with double vanity, first floor laundry and ductless air conditioning system. Walk-out lower level features a spacious family room with fireplace and full bath. Heated two car garage. Custom Post and Beam out building with covered patio overlooks the raised beds garden area and would make an ideal cabana for a future pool. 21x12 storage shed/workshop ideal for the hobbyist. well on site for irrigation. Great Norwell location!